Kagura is the boar of the zodiac. 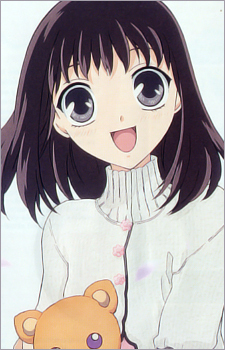 She has been in love with Kyo since they were young, although she doesn't know that Kyo is in love with her friend, Tohru Honda. Because of her "pity" of him as a child, when he was all alone because he carried the curse of the cat, she played with and took care of him. Eventually, it developed into a near-obsessive love for him. She is convinced she will marry him, mainly because she threatened him into proposing to her, at age 7 with knives in the manga, or a boulder in the anime to a 5-year-old Kyo), and partly because she thinks that they belong together because they can hug each other without transforming into their zodiac form. Despite this love, she often loses her head and beats him senseless when he does something to anger her or make her anxious. As one of the only three female members of the zodiac, she is able to hug any of the male members and neither she nor they transform. She lives with her mother, who is perfectly okay with Kagura's double-edged personality, and Rin. Kagura seemingly is the only female member of the zodiac that has not been personally hurt by Akito.